“I’m an atheist,” Morgan said. During our first interaction in the cabin, Morgan declared she was atheist and didn’t care about Christianity and she opened up about all of the pain she had experienced in her 17 years of life. I wasn’t sure how to respond but was able to trust the LORD knowing He would work at camp. Two days later, the Father was walking me through some false identity messages I have believed and one night during Pow Wow I sat outside and spent time relearning who I am in Christ. The Father was teaching me and I was able to share that truth with Morgan. That same night, Morgan approached me after Pow Wow wanting to talk. We sat down and she poured out her heart; the identity messages, lies, and brokenness. That night Morgan realized her need for a savior and her emptiness and tasted His goodness and freedom for the first time. Her heart was washed white as snow and she began a personal relationship with the LORD. It was a beautiful story of Redemption. Later that night, Morgan had a desire to read some scripture so I pointed her toward the book of Ephesians. When I walked into the cabin later that evening, another one of my campers was reading and explaining truth found in Ephesians to Morgan. 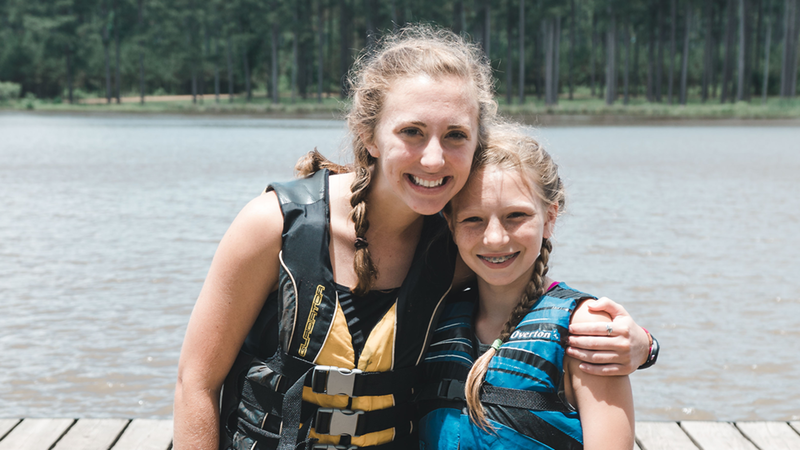 It was a blessing to watch the Father radically change Morgan’s heart through other campers in my cabin. On the last morning of camp, Morgan was baptized in the lake. I witnessed a child of God declaring her new found life in Christ.